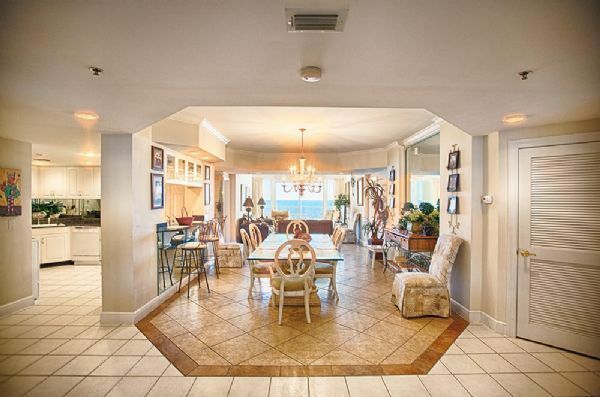 This condo speaks for itself! It has 4 bedrooms (two Gulf Front), each with a private bath. For that person that enjoys a long hot shower or bath after a day at the beach. The master has a King sized bed, with the other rooms having kings along with a room having two full sized beds. Enjoy family in the living with enough seating for everyone. The over-sized balcony is almost 400 square feet and offers 180 degree views of the beach. Check out the pictures, then give us a call. This condo comes with a set of Beach Chairs and an Umbrella from March 1 - October 1.